For many women, it is essential to keep their eyelashes beautiful and volumized. When well treated they have the power to enhance the beauty and make you look much more attractive. If you want to strengthen the growth of your eyelashes and conquer that killer look, you should consider following the tips in this article. Just like many things in our life, the secret of strong and long eyelashes is in the nutrition. There are specific nutrients that are responsible for the growth of the hair and can solve many problems with your eyelashes. And for that, just invest in food and wait for the results! Today there are some industrialized products on the market that promise to help you when it comes to eyelashes. However, these products are formulated with natural active ingredients, found in food, so there is no reason to ignore proper diet and supplementation. To help you we have come up with a list of food items that can make your eyelashes grow faster. Salmon is good. The list of its benefits is limitless. Salmon is right for your heart, it helps you control your weight, improve brain function, protect your bones, it is good for eyes, and yes it helps in growing thicker and longer eyelashes! This is because salmon is rich in Omega 3, which is not naturally produced in our body, so it must be gained from the food. The omega-3s give moisture to the skin cells, stimulating the production of collagen and strong elastin fibers. It feeds hair follicles, helping hair and eyelashes to grow healthily, preventing hair loss. 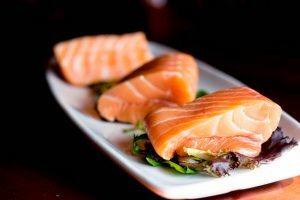 Salmon is also rich in protein, fish oil and if you are still not convinced, I will add the Vitamin D, Vitamin B and other vitamins and minerals which promote fast eyelash growth. Eggs are rich in iron, biotin and especially proteins. As you may know, hair is mainly composed of proteins and eggs are an excellent source of them, so that their consumption will strengthen the hair follicles, accelerating their growth. It is no wonder that the deficiency of any one of them can cause eyelash loss significantly. They are low in fat, making them an excellent choice if you are trying to eat less fat. 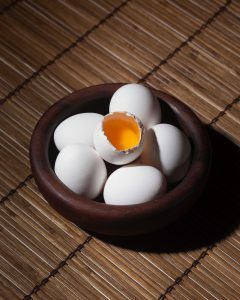 You can eat eggs daily or every other day but have in mind that eggs help a lot when you eat in moderation. Don’t exaggerate with them. Excessive consumption can block the absorption of biotin in your body! Almonds, peanuts, walnuts, macadamias, cashews, they’re all good for your hair including your eyelashes. They are rich in Omega 3 fatty acid, Vitamin E and an amino acid, called L-arginine which plays an essential role in improving the health of artery walls, leading to better blood flow to your hair follicles. Nuts are important for the growth of new eyelashes, as it contains among all these nutrients a great amount of biotin, which is nothing more than a vitamin B complex used by experts to combat any kind of hair loss. 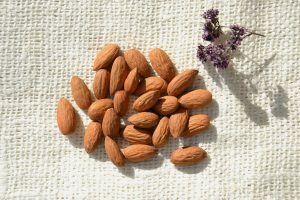 Thanks to this high biotin content, almonds will make your eyelashes to grow faster and much thicker. One cup of this dried fruit contains one-third of the biotin requirement your hair needs daily. If you eat almonds every day, in two months, you will see how much stronger your eyelashes will grow. If you are the type of a person that doesn’t care much for oyster, maybe is time to give them a chance. Did you know that zinc deficiency is a condition that causes hair loss even on your eyelashes? Oysters are an excellent natural source of this good mineral. Eating oysters will give your eyelashes enough strength to grow much healthier and stronger. If you eat this type of good, you will surely notice how it drastically reduces the appearance of dandruff. 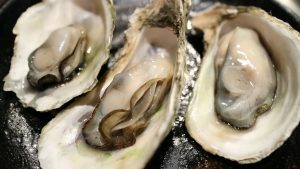 Oysters also contain iron that helps prevent eyelashes, because it retains them to their roots. Rich in B12 oysters will keep your hair looking healthy. All of this should convince you to add this seafood in your diet. OK, you hate them! Know then, that beef, crab, lobster are also rich in zinc in case you are looking for a replacement. Grains such as soy and lentils, when added to the diet, can contribute to the rapid and healthy growth of your eyelashes. They have potent nutrients such as iron, which is a key mineral for body and hair health. Found in several other foods, this nutrient helps in transporting oxygen from the body and improves blood circulation. Beans are a source of iron and amino acids, which are responsible for the formation of collagen and keratin, and those act directly against eyelash loss and also stimulates their growth. According to studies, what happens is that iron promotes blood circulation throughout the body, and is responsible for normalizing the eyelash growth cycle. On the other hand keratin and collagen offer the resistance that the yarns need to develop and avoid problems. 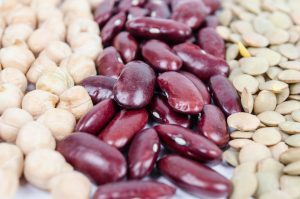 Besides, beans are known to have a significant amount of vitamin B and to be a great ally in the fight against anemia, one of the biggest causes of hair problems – falling wires, including. Biotin, as we know, is one of the substances in the complete B Vitamin that is linked to the metabolism of fats, carbohydrates, and proteins. All types of grain provide nutrients for hair. However, black beans are most recommended by those who want their eyelashes to grow quickly. That’s because, this type relies explicitly on folic acid, which is essential in treatments for hair loss. 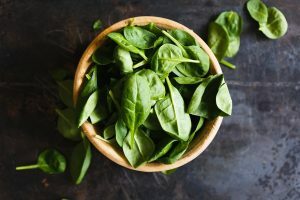 Spinach is full of nutrients that help maintain hydration and prevent eyelash breakage. This is because that vegetable is rich in vitamin A, vitamin C, folic acid (beta-carotene) and iron. Folic acid helps in replacing old cells from the body with new ones, which includes capillary cells. All these elements work together to keep the eyelid healthy and fertile for the regrow of new follicles. 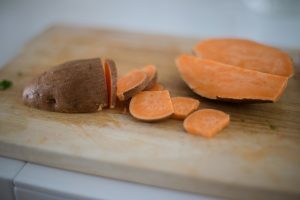 Rich in beta-carotene, a powerful antioxidant that the body transforms into vitamin A as soon as it is ingested, sweet potatoes can help fight eyelash dryness and production of sebum, which in turn is essential for the regrow of new eyelashes and to strengthen the existing ones. Beta-carotene can also be found in other orange vegetables such as carrots, squash, melon, and mango, which can therefore also be good foods that make hair grow. 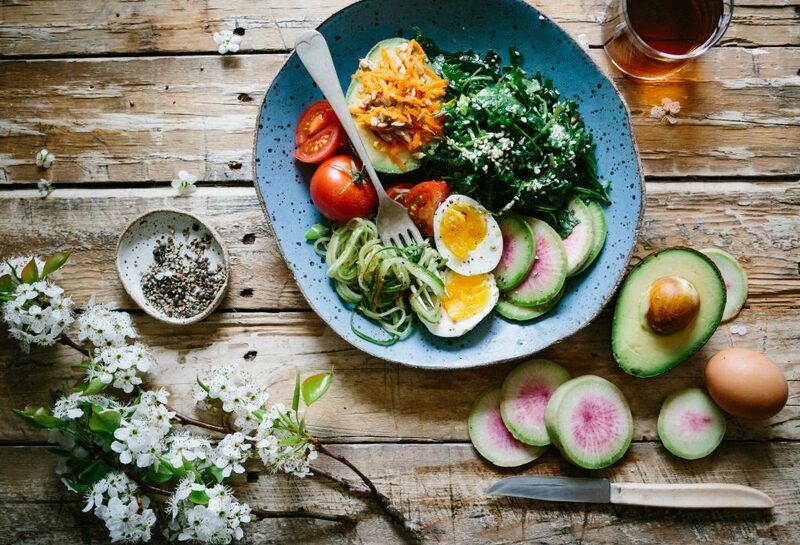 Thanks to its high concentration of essential fatty acids, avocado is ideal for accelerating eyelash growth because it stimulates the production of collagen. Also rich in Vitamin B and Vitamin E, which work at the cellular level to protect and strengthen your eyelashes. Vitamin B is critical for cell metabolism and essential for eyelash growth, and Vitamin E helps repair the damage. 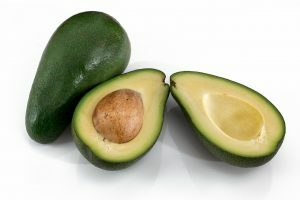 These key vitamins in avocado ensure that the capillary walls get enough oxygen, thus promoting the circulation of the blood. You can have avocados as a shake, as part of your salad, as a side dish. You can even eat them as they are. Whatever you choose, your eyelashes will thank you, and you will see the good results. Greek yogurt is rich in protein and vitamin B5, also known as pantothenic acid, two essential nutrients for healthy and rapid growth of your eyelashes. This is because, while proteins are the basis that forms the hair structure, vitamin E helps in improving blood circulation helping in the “birth” and growth of new hair and lashes. 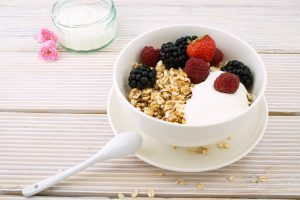 You can find pantothenic acid in products for the skin and hair, but ingesting it through the yogurt is much healthier. The result is faster growth and a fall decrease. If you don’t go with it taste, which I doubt it, try other options, such as cottage cheese, low-fat cheese, and skim milk. Yellow pepper is one of the main foods on our list. It helps maintain right levels of collagen, a substance that gives strength and luster to your lashes. An interesting fact is that the yellow bell peppers have about five times more vitamin C than oranges. This is excellent news since vitamin C is a powerful antioxidant and strengthens the eyelash hair follicles in addition to preventing from breakage. 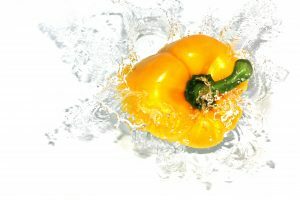 This makes the yellow pepper an excellent food choice to promote capillary health.